Starting a business is risky. There is so much to plan and consider and so many ways that it could go wrong, especially if you go in blind. Don’t fall into the trap of having an idea and then wondering how to market it without knowing your market first. That means doing your homework. If you’re unclear on who your customers and competitors really are, not who you assume they are, and the size and value of your market, it’s impossible to do any meaningful marketing. Without research how can you develop your ideas? How do you know what to charge for your product or service? And without knowing the true value of your product or service, how can you know if your business idea is even feasible? You’re relying on luck alone but doing nothing to make your own luck. Market research is an essential starting point and ongoing process for every business but there are many misconceptions about what it actually is. It’s not just standing on street corners with a clipboard or gathering statistics – it’s about asking questions, challenging your assumptions and opening up communication channels between your business and your market. Market research is not a dirty word. 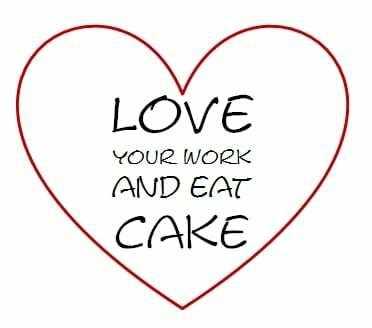 It’s a reason to get out more and be inspired, it’s an excuse for a party, a reason to eat cake. And it’s a great way to expand your network. Providing a product or service is about solving someone’s problems. The best way to find out what people need, desire, want and aspire to is to ask them. That’s what market research is. It’s about talking to people. The more ways you can find to do this the better. Use your time wisely by talking to people about your ideas and learning from them how your plans can help them. Talking to people is something that we can all do and as a business it’s up to you to make opportunities to do so. Because it’s your business, you get to choose and you make your own rules. So why make it tedious or boring? Market research can be fun. Put on a focus group in a local cafe. Think beforehand about what you want to find out from people and who the likely customers might be, then extend an open invitation and reward your participants with cake – who doesn’t like free cake in exchange for answering some questions in an informal and relaxed environment? Arrange a meet up at a local bar and network over a glass of wine. Take a short course in something you’ve always been interested in, even if it’s not relevant to your business, and mix with like-minded people, e.g. a pottery class, life drawing, etc. Volunteer for a charity you’re really passionate about and pick up new skills and contacts as well as getting a reputation for being lovely – who doesn’t want to help out a lovely person? Put on a fundraising event for a charity you care about – your business could be effectively ‘sponsoring it’? Use the event and the positive press to showcase your ideas and get feedback. Have a launch event or mark an occasion with a party, e.g. one year event. Invite everyone who’s ever engaged with your business as a thank you. Wine and dine them and they’ll be happy to answer a few questions or help you out in the future. Have a competition. Maybe make it a regular, fun event? The writing network we run in Bristol, Southville Writers, has a quarterly Flash Fiction event at a local pub and the winner gets the kitty. It’s always popular and great for connecting people. Gather some friends and go to a festival or fair. Talk to any relevant stall holders and get involved with activities. Join a club. Have you got a hobby? E.g. photography, Salsa dancing, running, etc. Joining a club is a great way to meet people and share ideas and expertise. Go with a friend on a day trip to another city. Make it a fun day out but while you’re there make some observations, take notes, pick up leaflets and local magazines. Are there any opportunities to grow and collaborate? Is someone doing something elsewhere that could work locally? We work for ourselves because we want to do something we’re passionate about. Market research is part of your business, and it’s an ongoing process that you need to build into your working week to stand a chance of keeping up with an ever changing market. Why treat it differently, why not make it fun? What would you enjoy doing to make connections and meet people? It’s your business, you are in control. Go and do what you love. Great tips! We have regular Blue Patch focus groups. These always result in our brainstorming with out ‘target market’ businesses and coming up with new approaches to solve problems. We want to start a trend with UK wide Blue Patch meet ups for UK SEMs. Women in particular value these small scale, supportive meetings + cakes. We cover everything from SEO to product photography – whatever people are stuck with, babies come too sometimes. Thanks for the comment. Networking is always a great way to research, meet new people and test ideas out – and cake is a bonus! Where do you host your Blue Patch Focus Groups?